Back in the good old days when this photo was taken (Feb. 11,) Chicagoans who won the lottery jackpot could actually cash in. But Illinois has capped winnings at $600 because of a budget impass. Bigger winners get an IOU. You can play the lottery in Illinois these days, but you just can't win much. The cash-strapped state said on Thursday that it can't pay out anything over $600 for the time being. For a ticket worth more than that, winners get an IOU that won't be paid off until the state government resolves its long-running budget crisis. Illinois Lottery spokesman Steve Rossi blamed the hold-up on "the ongoing budget stalemate in Springfield," the state capital. "Once a budget is passed, all outstanding claims will be paid." The administration of Republican Gov. Bruce Rauner has been tussling over the state's finances with the Democratic-controlled legislature for months. Things have been going downhill for Illinois lottery winners for a while. Back in July the state capped its payouts at $25,000. Up until Oct. 15, winnings between $600 and $25,000 could only be cashed in at the state's lottery claims centers. But now Illinois' ability to make payments over $600 has been "exhausted," said Rossi. Winners can still cash in up to $600 at any store selling lottery tickets. The state is still advertising a big fat jackpot, regardless of its ability to pay it. 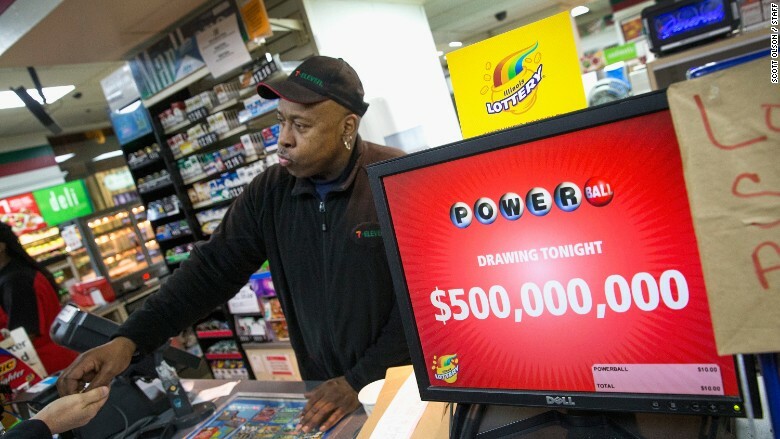 Illinois Mega Millions jackpot is currently $84 million and Powerball is $80 million.